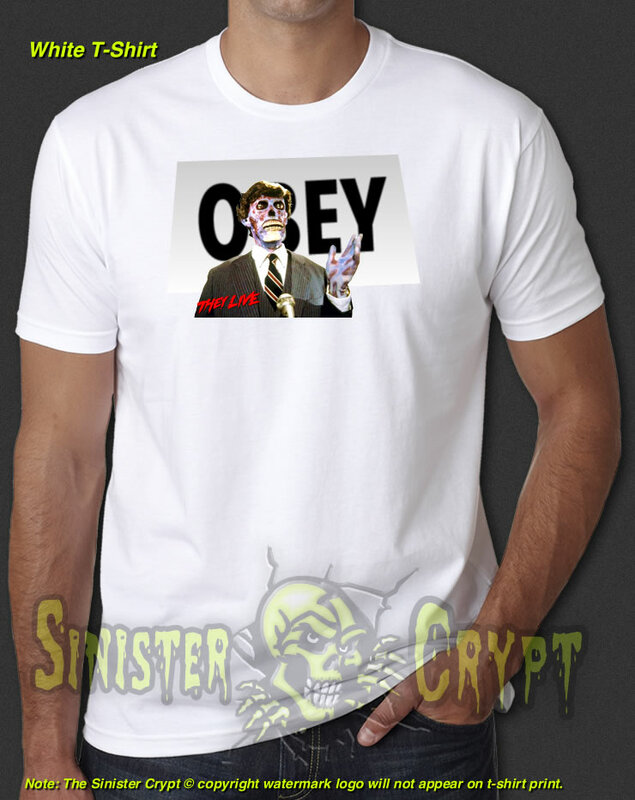 They Live OBEY t-shirt. They Live is a 1988 American science fiction horror film directed and written by John Carpenter. The film stars Roddy Piper, Keith David, and Meg Foster. Makes a great gift!